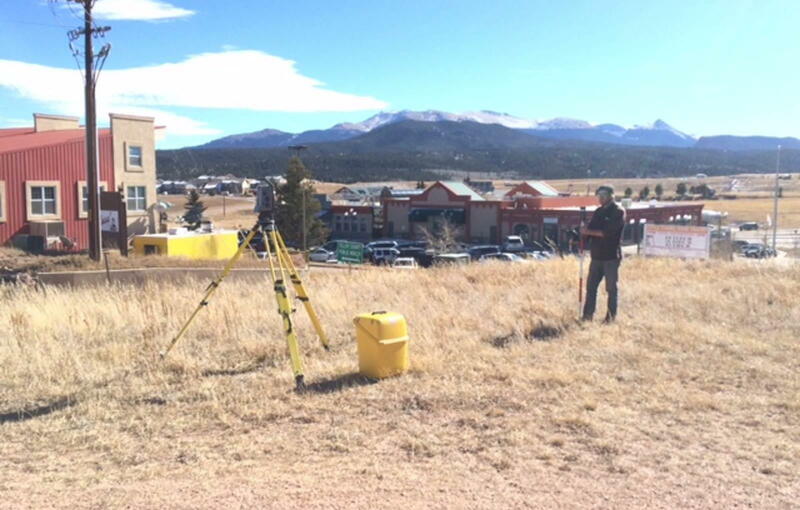 Commercial Surveyors | Pinnacle Land Surveying Co.
Pinnacle Land Survey Company Inc., is a trusted provider of commercial land surveys in Teller, Fremont, Douglas, El Paso, and Park Counties. When purchasing a commercial property, the title company or mortgage company may require an improvement location certificate to be provided as part of the closing requirements. Regardless of the title company’s requirements, it is highly recommended to, at a minimum, get an ILC to ensure you understand the actual lot lines of the property and to ensure there are no encroachments on the property. A step up from an improvement location certificate, the improvement survey plat is suggested for commercial property owners when they want actual monuments placed on the property identifying the property corners in addition to a plat map showing the property lines, easements, any encroachments or boundary issues. When buying commercially zoned property, the title company may require an ALTA Survey to be prepared. The ALTA survey is the most detailed of all surveys and is prepared by our professional surveyors according to the standards set by the American Land Title Association (ALTA) and the American Congress of Surveying and Mapping (ACSM). All surveys require a legal or land description. The research, understanding and translation of historic notes and descriptions are essential to accurately demonstrating the intent of the notes and legals to an exhibit or drawing. Pinnacle can perform the mapping of both large and small utility district facilities. We can work with both public and private utility line locators to provide developers or residents the required mapping for any project. Pinnacle has extensive experience in all phases of construction staking, from large buildings, schools or roadways to houses, garages, subdivisions and utility lines. Headquartered in Teller County where there is a significant amount of BLM and forest land, we have extensive experience preparing BLM/Forest Service Access Road Plats and access easement descriptions.